As AGWM regional director for Northern Asia, Ron Maddux gives direction and oversight for nearly 225 team members who work among 1.4 billion people living in cities and villages spanning more than 3 million square miles. Ron was born in Baton Rouge, Louisiana, but was raised in Atlanta, Georgia. Called to ministry as a teenager, he chose to attend Southeastern University in Lakeland, Florida, after high school to prepare for full-time ministry. While he was there he met and married his wife, Penny. 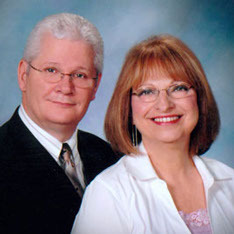 The Madduxes were involved in evangelistic work and pastored two churches in Florida. They assumed they would be involved in pastoral ministry the rest of their lives, but a growing burden for the lost in Asia prompted them to seek missionary appointment. They were approved in 1977, and the following year they went to Hong Kong. During the next three years they founded Hong Kong Teen Challenge and were involved in leadership development with the church in Mainland China. While in Hong Kong, Ron learned to speak Cantonese, a dialect of Chinese. In 1981 the Madduxes transferred to Thailand, where they worked with the national church in open-air evangelistic campaigns and church planting. Ron also learned a second foreign language, Thai. He was involved in opening Laos and Cambodia to Assemblies of God outreach and reestablishing Vietnam as an Assemblies of God mission field. In 1990, he was named area director for Peninsular Asia, which includes Cambodia, Laos, Myanmar, Thailand and Vietnam. In 1998 he became director of the Asia Pacific Center for Leadership and Missions. He was named regional director for Northern Asia in 2000. In addition to a Bachelor of Arts degree in ministerial studies from Southeastern University, Ron has a Master of Arts degree in cross-cultural communications and a Doctor of Ministry degree in leadership, both from Assemblies of God Theological Seminary in Springfield, Missouri. He did additional graduate work at Florida State University in Tallahassee, Florida. The Madduxes have three children: Wendy, Samuel and Matthew. Wendy and her husband, James, are missionaries to Northern Asia; Samuel and his wife, Stephanie, are missionaries to Thailand; and Matthew and his wife, Kimberly, are missionary associates to Northern Asia.